Karl Largefeld interviews designer Karl Largerfeld about his new Spring 2012 collection for the luxury online fashion site Net-A-Porter. The collection launches this week and to promote the line Lagerfeld interviews himself. 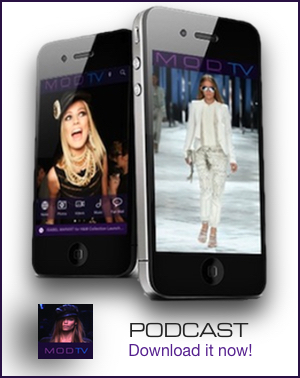 Watch this video interview – Karl sheds insights about his sense of style, his passion for fashion and answers the question what is chic? 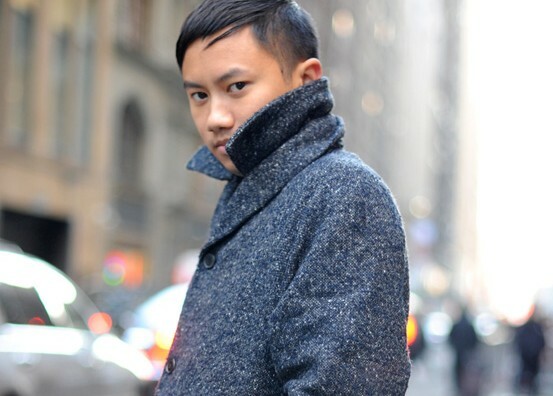 Tommy Ton, the Canadian born international photographer and street style blogger tops “The Blog Power List” by Net-A-Porter’s online magazine. Tommy’s stunning photographs can be seen on his popular Jak and Jil Blog and at Style.Com and GQ.Com where he is a regular contributor. 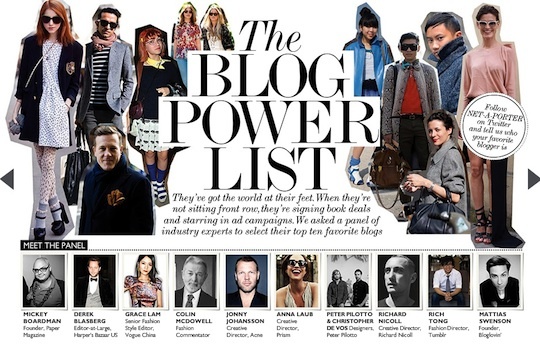 The world’s most stylish and influential bloggers were selected by a judging panel including Derek Blasberg of Harper’s Bazaar, Paper Magazine’s Mickey Boardman, Tumblr fashion director Rich Tong, Richard Nicoll, Acne’s Jonny Johansson, Peter Pilotto and designing partner Christopher De Vos, Prism creative director Anna Laub, fashion historian Colin McDowell, Vogue China style editor Grace Lam. Street style photographer Tommy Ton of Jak & Jil took the number-one spot, with Blasberg opining that he’s a “visual genius.” Hanneli Mustaparta, the Vogue.Com contributor came in second; Front-row regular BryanBoy and French photographer Garance Doré placed third and fourth on the list, respectively, while British blogger Susie Bubble (#6) and Doré’s boyfriend, Scott Schuman of The Sartorialist (#7), were hot on their trail. For more of the e-tailer’s magazine, including tips on dressing like your favorite blogger, visit Net-a-Porter.com.